Carl Friedrich Abel (December 22, 1723 ? June 20, 1787) was a German composer of the Classical era. He was a fine player on the viola da gamba, and composed important music for that instrument. 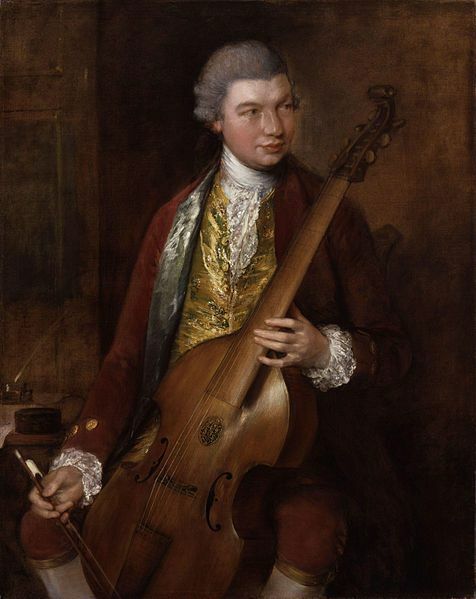 Abel was born in Cöthen, the son of Christian Ferdinand Abel, the principal viola da gamba and cello player in the court orchestra of Johann Sebastian Bach. There is no proof that he studied at the Leipzig Thomasschule, but it was on Bach's recommendation that in 1748 he was able to join Johann Adolph Hasse's court orchestra at Dresden where remained for 10 years. 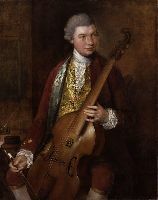 In 1759 he went to England, and became chamber-musician to Queen Charlotte. He gave a concert of his own compositions in London, performing on various instruments, one of which, the pentachord, was newly invented. 192 scores found for " Abel "
1718 scores found for "Abel"